Established in 2012, Titan Heavy Lift’s General Manager Jake French and his team have more than 50 years’ combined experience across all aspects of crane operation and hire. 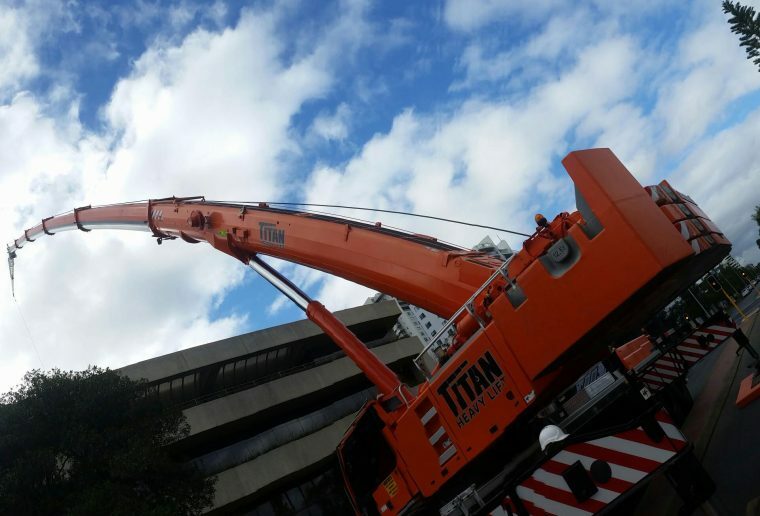 This makes Titan one of the most experienced crane hire companies Perth has to offer. With depots in South Guildford and Welshpool stocked with modern and well-maintained Liebherr and Franna cranes, we have built an enviable reputation for tailoring solutions to meet our customers’ needs. Our skill set ranges from heavy lifts of up to 500 tonnes to jacking and skating, commercial fit-outs, site inspections, transport, and rigger and dogman hire. No job is too big, too small or too complex. The Titan team is trained and qualified to best industry practice and our equipment meets Australian safety standards and regular Verification of Competency (VOC) audits. Our mantra is to deliver the best possible service, putting safety and effectiveness first. As a young company we have successfully captured traditional lifting techniques and adopted a modern approach, utilising software programs such as AutoCAD to successfully plan outcomes. We won’t rush into a job. Rather, we will take time to meet and fully understand our customer’s needs before devising the ideal lifting solution. Titan’s operational and safety standards exceed those mandated by the Australian crane industry. We are fully insured through Lloyd’s of London, to levels much higher than mandated, to ensure peace of mind for our customers. Titan thrives on our customers’ satisfaction. No job too big, too small or too complex. Please don’t hesitate to contact us to discuss your lifting needs, or phone (08) 9378 2079 24/7 to speak to one of our friendly staff.